Schizophrenia definition and metaphor: Schizophrenic does not mean multiple personalities. The word doesn’t mean what you think it means, and that matters. 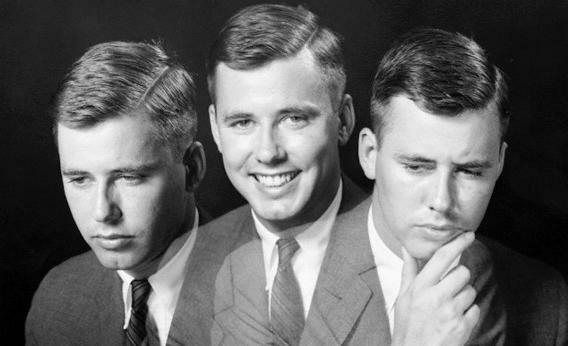 Do schizophrenics have multiple personalities? Something strange is happening with the word schizophrenia, something that makes it unlike any other word in the English language. It starts with metaphor. Occasionally words drift from the language of a disease into the language of everyday things, and this path is almost always through metaphor. A symptom of the diseased body maps onto a common target and eventually it sticks; dangerous ideas become cancers, cities become blighted, pay raises become measly, and moldy stone façades become leprous. A metaphorical use of schizophrenic endures in this way, defined as having “contradictory or antagonistic qualities or attitudes.” Thus a stock market can be schizophrenic when volatile, a politician when breaking from party lines, a composer when dissonant, a tax code when contradictory, weather when inclement, or a rapper when headlining as a poet. There is a problem, though: This metaphorical use has nothing to do with the symptoms of actual schizophrenia. If the metaphor maps to anything, it most resembles multiple personality disorder—a disease that likely doesn’t exist and definitely is not schizophrenia. The metaphorical use of schizophrenic suggests a rapid and unexpected switch from one extreme state to another, something like an embattled other self breaking through and taking over. But schizophrenia is not some unexpected polarity, nor is it a disease of fugue-like dissonance or a Jekyll-and-Hyde struggle for control. Why is there this disparity between the perceived and the believed? We cannot know how many of these 61 percent are influenced by entailments, but almost two-thirds of those asked also thought schizophrenia had to do with “split or multiple personalities.” The fact that the metaphorical definition of schizophrenic implies extreme, unpredictable behavior and that this is likely confused with violence furthers the misunderstanding of an already deeply stigmatized illness. The continued use of schizophrenia as a metaphor for multiple personalities is a linguistic and journalistic failure. History shows that language changes how those afflicted with stubborn illnesses view themselves and, importantly, how they are treated by others. Before antibiotics, to be tuberculin meant to be weakly resigned to one’s fate—a relationship so strong that Franz Kafka blamed his tuberculosis on his own “moral bankruptcy.” Susan Sontag, in her 1978 Illness as Metaphor, strongly objected to the then pervasive idea that one could have a cancerous personality, a kind of weakness of spirit thought to both give entry to the cancer and allow it to proliferate. Of course, the bacteria that cause tuberculosis have nothing to do with moral bankruptcy, nor do the genetic mutations that cause cancer have anything to do with personal weakness. And whatever contributes to schizophrenia—a genetic predisposition, prenatal developmental problems, or as yet undiscovered risk factors—it has nothing to do with multiple personalities. Yet schizophrenia today, as tuberculosis and cancer before it, is spoken about as a disease of constitution (one does not have a schizophrenia as one has a fever or a tumor, but instead one is schizophrenic). This is not a quality of the disease but instead a reflection of our lack of scientific understanding of what causes it and what fixes it. The stigma around schizophrenia reached a breaking point in Japan not long ago, when a survey of doctors found that 37 percent were not informing patients of their diagnosis. The most common reason given by the doctors was the “negative impression of the term schizophrenia.” The stigma was so great, the metaphor so buried, that in 2002 the foremost Japanese society of psychiatrists agreed to change the name from seishi buntetsu byo (“mind-split disease”) to togo shiccho sho (“integration disorder”). An equivalent is unlikely to happen in the United States with schizophrenia (schizo- “split”; phren- “mind”). The DSM-5—the new revision of the psychiatric bible—comes out this year with minor changes to schizophrenia subtypes but no change to the term itself. Each version usually stands for about 15 years, so we can expect “mind-split disease” to still be around for at least that long. If doctors will not change their ways, who will? According to a 2003 study, U.S. newspapers use schizophrenic metaphorically 28 percent of the time they publish the word. By my count, the New York Times used the metaphorical version 38 percent of the time in 2012. Slate has used it about three dozen times since 1996. Even the scientific journal Nature called topsy-turvy electrons schizophrenic in a news piece. A solution, then: The secondary, metaphorical definition of schizophrenic should no longer be used in online and print media. But media style guides tend to reflect linguistic attitudes rather than drive them. So if doctors won’t change, and the media won’t change, it remains that we must change. Politely remind people that if Congress was indeed acting schizophrenic, it would have flattened emotions; social withdrawal; and be prone to delusions, hallucinations, paranoia, and occasional disordered thought. If this seems prescriptivist (which it is), the precedent is already set: derogatory, stigmatizing words are commonly removed from both media vocabulary and from polite conversation. In this case, the harm is clear and the solution simple.